Japan is amazing, because unlike Texas, there are actually four distinct seasons. It has recently gotten quite chilly here, so I had to pick up a few warmer pieces. I found these high-waisted pants for ridiculously cheap at H&M. Granted, they aren’t the most flattering on my body shape, but I sort of kind of don’t care. 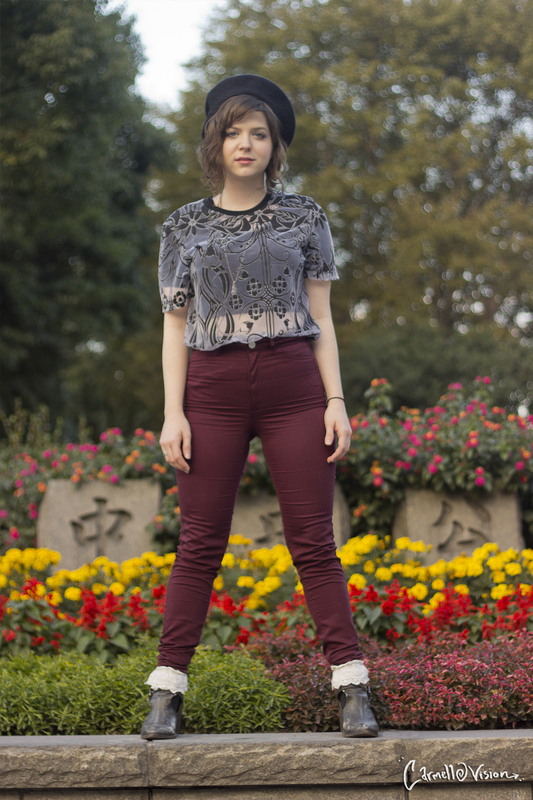 The oxblood color is perfect for this season! 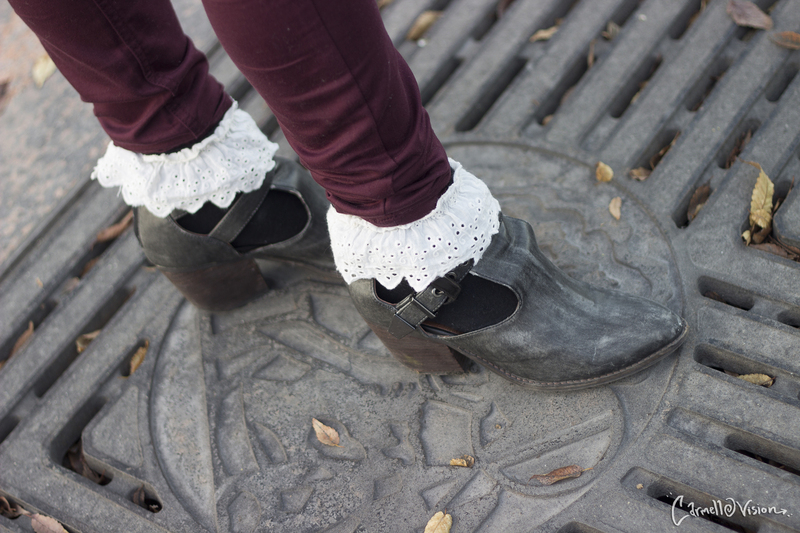 I paired them with some Jeffrey Campbell boots (complete with frilly socks!) and a few different tops to suit the weather outside. 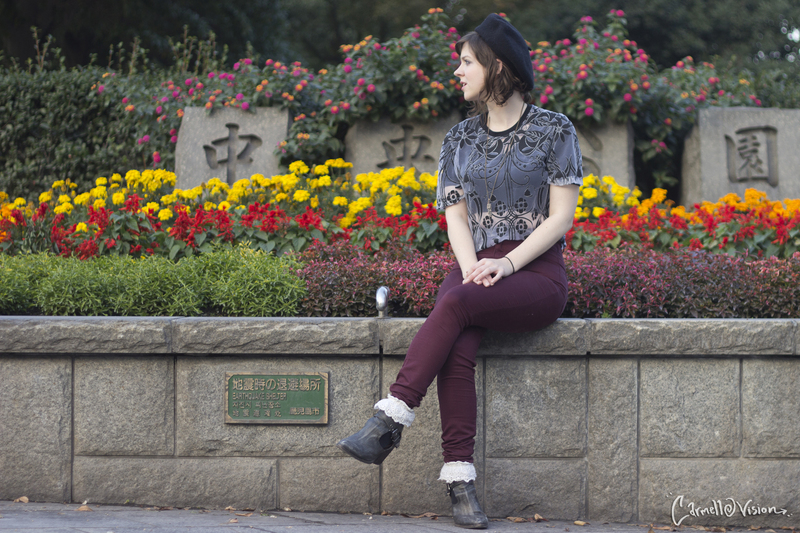 We all know fall can be a little bipolar weather wise; mornings are chilly and the afternoons can be warm, so I first tried these pants with this interesting cutout T-shirt from Asos and a vintage beret. Next, I thought these pants would look awesome with this amazing retro cardigan I found at a resale shop. It’s just funky enough to spice up a plain outfit. Last, I threw on my favorite over-sized cream cardigan. This look is probably my favorite because it’s super fall and super comfortable. This entry was posted in Style and Beauty and tagged asos, コーディネット, スタイル, セーター、帽子、カーディガン、ブーツ、かわいい、, beret, boots, cardigan, clothes, cold, 秋ファシオン、冬, fall, fall fashion, h&m, hats, Jeffrey Campbell, oxblood, resale, style, sweater, Urban Outfitters, vintage, warm clothes, winter, 公園, 寒い, 撮影. Bookmark the permalink.